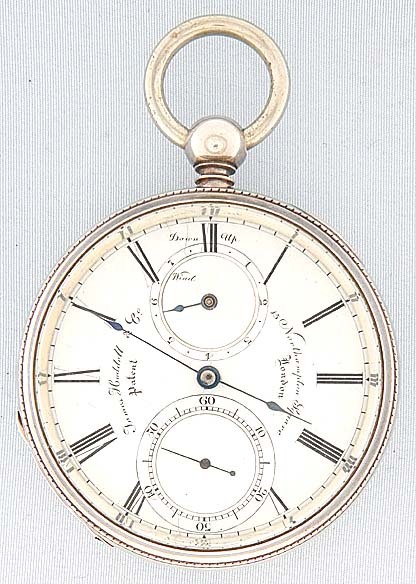 Fine, very rare, and possibly unique 8-day double fusee silver double fusee antique pocket watch with winding indicator by Hoddell, London, circa 1850. 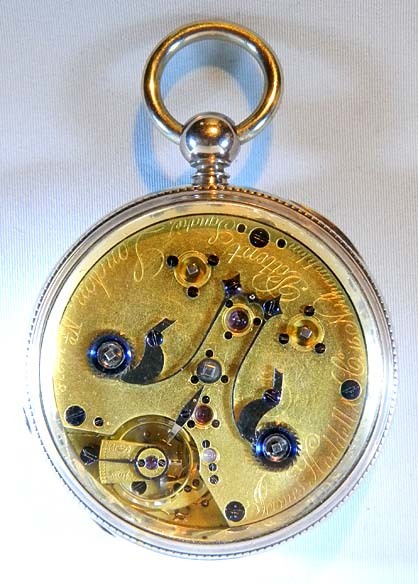 Very fine gilt 21 jewel lever movement with attractive symmetrical clicks and click springs. Fine white enamel dial (hairlines) with black markings and blued steel hands. Hinged glass back silver purpose built case, most likely contemporary with the movement, particularly if this is a unique prototype of his patent. A search of the literature has not revealed another watch of this type.